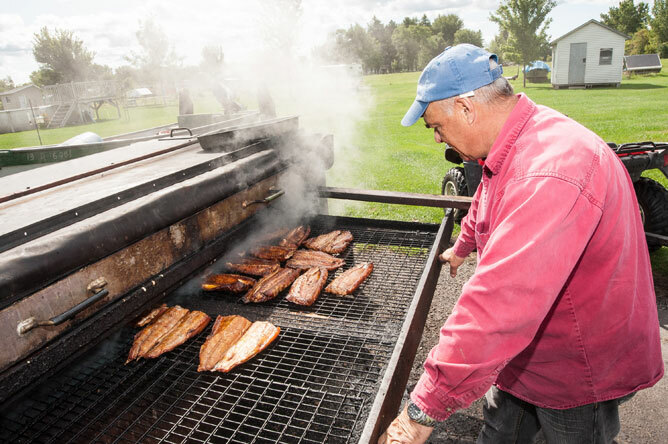 In Notre-Dame-de-Pierreville, visitors can buy various kinds of fish from Lake Saint-Pierre, which are smoked on site. 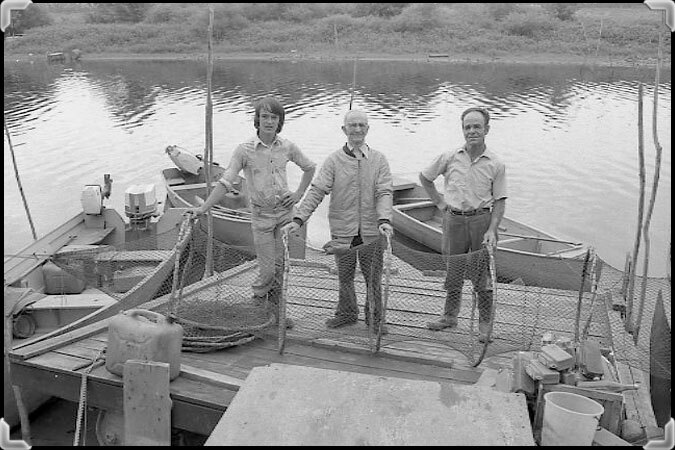 Local fishermen often caught enough fish to last a week. 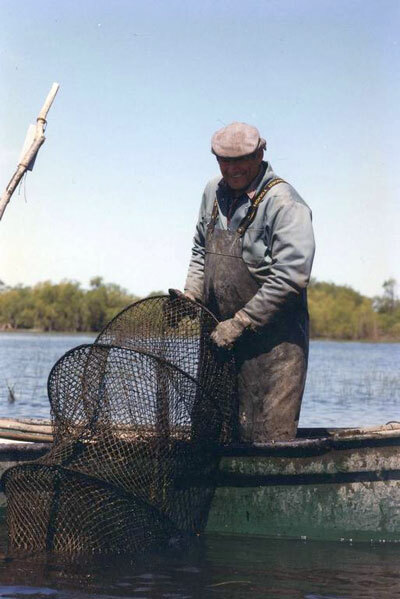 During the winter, Pierre Gagnon had built a type of net, called a 'varveau' that he always kept in the water. 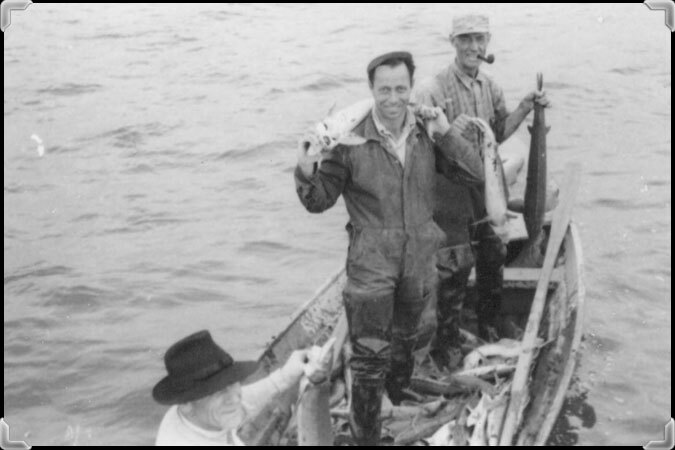 He would only visit it every two or three days, but he caught so many fish that he was able to salt some and put it up for Lent and fast days. 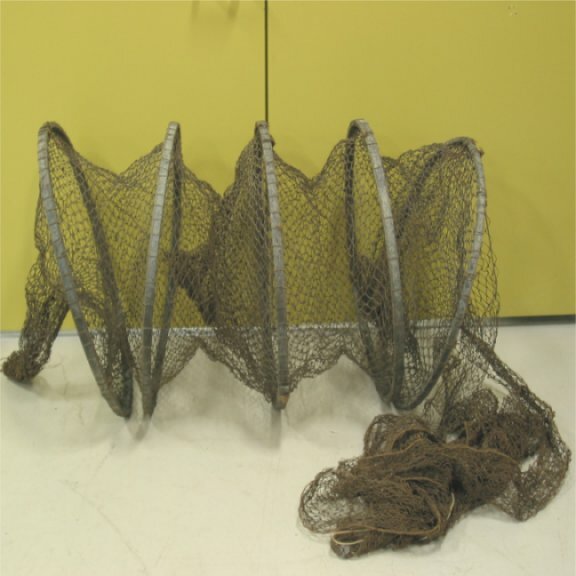 This hoop net dates from the early 20th century. Fishermen attach long stakes to the ends of the hoop net to keep it fixed underwater. 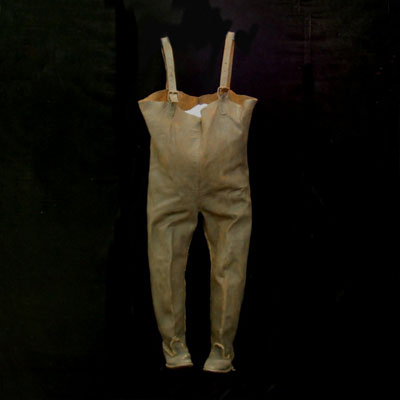 These old-fashioned fishing waders are made entirely of leather. 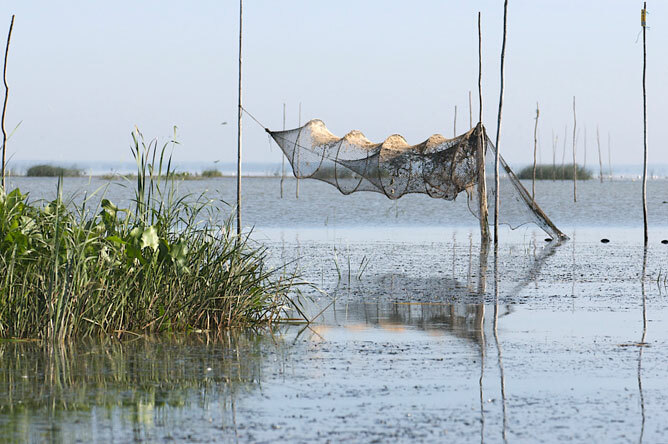 Modern waders are made of synthetic materials and rubber, and are therefore lighter and more waterproof. A series of hoops keeps the hoop net open. Poles three times as high as a man were piled up against the trees. A thick smoke billowed out of the smokers. 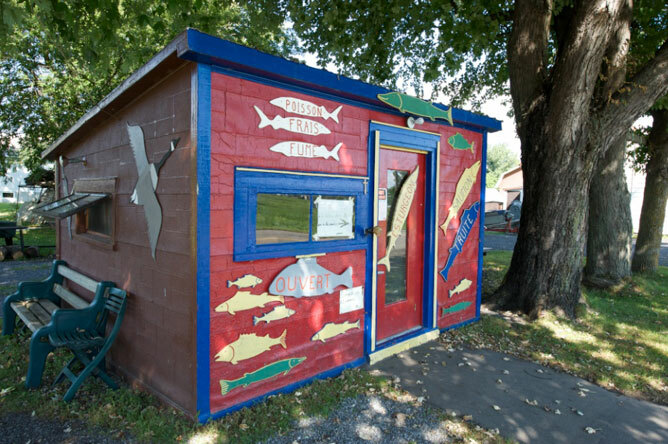 You could see the tarred keels of the upside-down fishing boats and, at the end of the docks, children slashing the heads off the catfish that squirmed in their hands. He sailed up the winding route to Notre-Dame-de-Pierreville, and reached it in the afternoon. 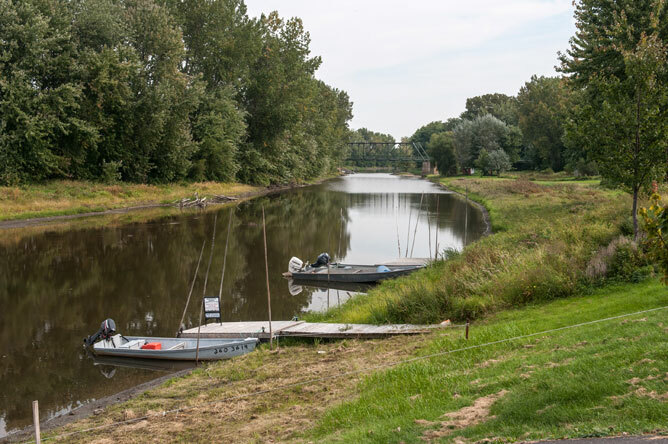 The village—some twenty homes, curing sheds, smokers and storage sheds—clung to the loamy banks of the channel. The small road that led up to it was of minimal importance. The docks were the sidewalks of the town, and the fishing boats its vehicles. 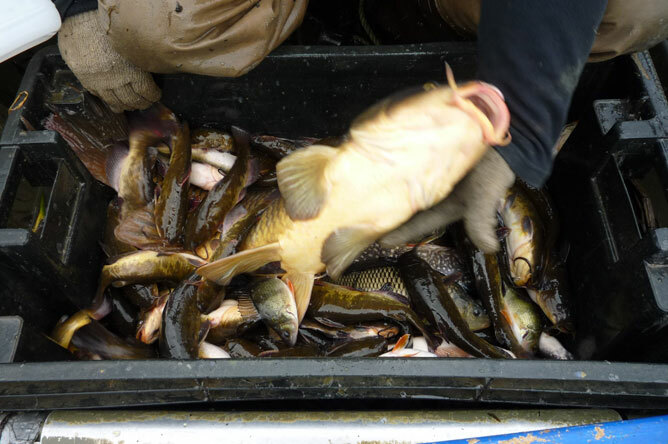 This bucket contains a large German Carp, some Brown Bullhead, a large Northern Pike and a few small Yellow Perch. The perch will be released, as a moratorium on this species has been effect since 2012. 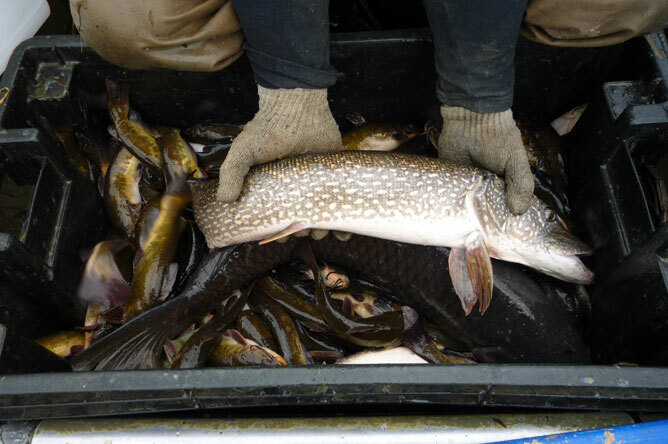 A fisherman displays his catch: an impressive Northern Pike.